Game Freak's Junichi Masuda: An open-world Pokemon game is "still on the cards"
What would an open-world Pokemon title look like? 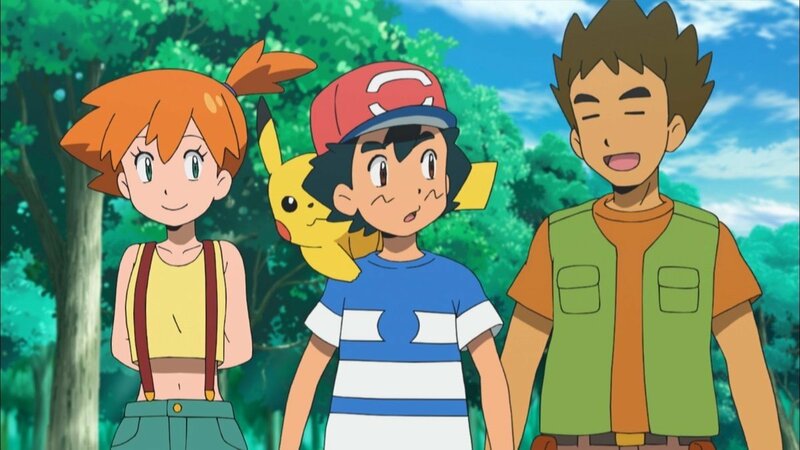 For some players, Pokemon would be improved tenfold by being transformed into a traditional open-world game, rather than the open RPG format it's stuck to since its inception. But just because it hasn't happened yet, that doesn't mean it never will. According to Game Freak's Junichi Masuda in a recent interview with Eurogamer, it could potentially happen in the future. While Masuda doesn't come right out and say "yes" to the idea, his response does certainly make it seem that he's not opposed to this type of format in the future. "Well you know in general, I always want to be kind of facing new challenges and trying to you know, do new things with Pokemon," he said. "You know it's a different matter whether players will actually enjoy that kind of playstyle, but really you know, things like setting up an AI so that you know real world Pokemon appear, or different ways to appreciate the game, I'm always kind of thinking how to approach the Pokemon series from a different aspect so, in that sense, it's still on the cards." Pokemon has been changing slightly with each new iteration, with the introduction of Mega Pokemon, a whole new series of monsters, and other tweaks, such as those seen in the upcoming Pokemon: Let's Go, Pikachu! and Let's Go, Eevee! games. It's likely only a matter of time until we see some sort of shakeup with the core titles in the franchise, especially since Pokemon Go has done so exceptionally well. If that does happen, we'll make sure you know about it. For now, join us in looking forward to the new Switch-exclusive Let's Go games, because from where we're looking, November can't get here soon enough. Brittany Vincent posted a new article, Game Freak's Junichi Masuda: An open-world Pokemon game is "still on the cards"
I would seriously love to have a Pokemon game (3D or traditional) for the Switch. Seriously, why don't we have a conventional Pokemon game on the Switch yet? Oh I thought those games were supposed to be like Pokemon Go for some reason. Yeah, they kinda didn’t do themselves any favours showing the capture mechanic which looks like Go and no battle footage. Wild pokemon battles do consist entirely of that capture mechanic, you just walk up and throw a ball. Trainer battles use the classic combat. So it's like a hybrid of Go and the traditional games. I have no idea why they did that. That's the impression I got as well. Single player Pokemon Go, without the physical walking around. Not that I was looking too hard. They're remakes of Pokemon yellow, basically. they seriously just need to play that romhack version of pokemon crystal and make a new game based around that concept. pls explain, I have a PSP and spare time.